We have special offers available on tickets for Jersey Boys. Jersey Boys at the Piccadilly Theatre is the tale of four blue collar boys from the wrong side of the tracks who went on to become a chart-topping close harmony group. Frankie Valli and the Four Seasons are not quite so familiar over here as in America, but December, 1963 (Oh What a Night), Big Girls Don't Cry and Can't Take My Eyes Off You remain cast-iron classics and ideal music for a stage show. The Four Season's entertaining backstory is told with laidback wit, comfortably mixing plot and music and finding straightforward entertainment from a classic rags-to-riches tale. Special offers on Jersey Boys tickets are now available. Catch this bright and well-directed slice of New Jersey nostalgia before it closes on Sunday 26th March 2017 ending its nine year run in London. 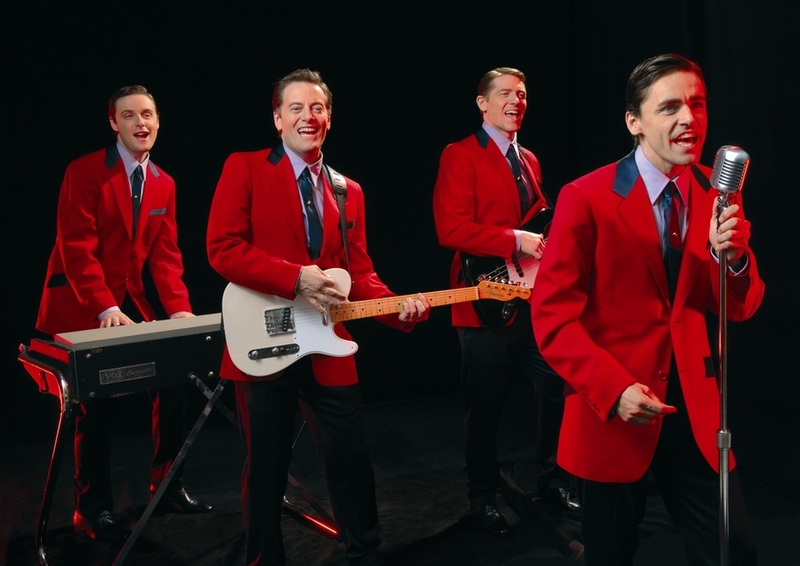 What are the best dining options near Jersey Boys London? Jersey Boys gyms, sporting activities, health & beauty and fitness. The best pubs near London Jersey Boys. Jersey Boys clubs, bars, cabaret nights, casinos and interesting nightlife. Where to have your meeting, conference, exhibition, private dining or training course near Jersey Boys. From cheap budget places to stay to luxury 5 star hotels see our special offers for Piccadilly Theatre hotels, including Cafe Royal Hotel from 97% off.